This week for inquiry, we had to make another Venn Diagram. 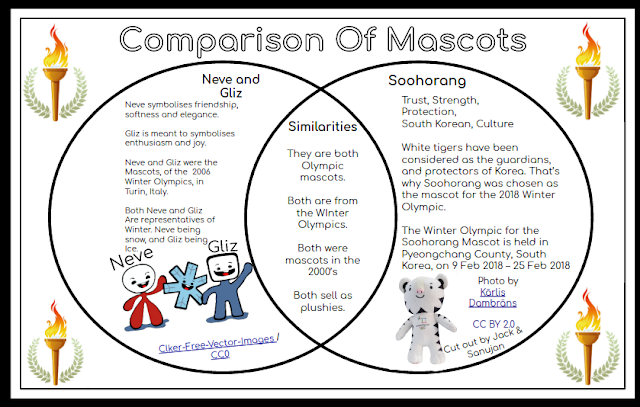 Although this one, needed to be comparing two Winter Olympic mascots. One mascot that we had to compare, was Soohorang, the 2018 Winter Olympic mascot. Luckily, we could choose any other Winter Olympic mascot to compare it to. So the mascot that my group chose was Neve and Gliz, the 2006 Snow and Ice mascots. You may see that on the right have side of the Venn Diagram, at the bottom, it says "Cut Our By Jack And Sanujan". The reason as to why that's there, is because the original Soohorang picture also had the 2018 Winter Paralympic mascot as well. 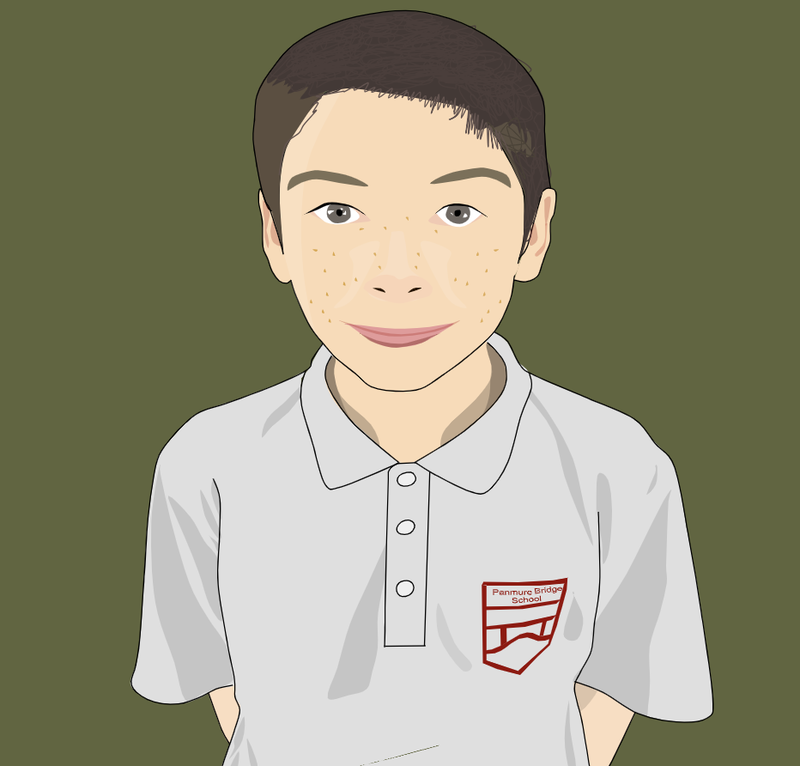 So what Sanujan and I did was cut the background out, to make the picture, a png.